Why isn’t Greece Islamic today? Jeremy asks why (considering the dominance of the Ottoman Empire after the fall of Constantinople) Greece isn’t Islamic today. First and foremost Greek culture was much more deeply rooted than the Ottoman one since it predates even Islam by more than a millennium. There were those who adopted the prevailing faith and culture, but they were always a minority. Perhaps given enough time ‘Greekness’ would have been drowned out but it would have taken much longer than five centuries. For example, Constantinople- the capital of the Ottoman Empire- had a significant Greek populace and character until the population exchange of the 1920’s. The same is true for many coastal areas in modern Turkey. They remained Greek Christian enclaves until the exchanges of the twentieth century. A second reason is that much of the Ottoman energy and vitality had been expended by the time the Greek heartland was taken. 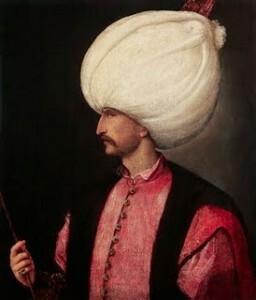 For a century it appeared as if the Ottomans couldn’t be stopped, but when Suleiman the Magnificent besieged Vienna in 1532, his failure to take it marked the beginning of a 400 year decline. The Ottoman Empire became a bloated, weak figure- christened the ‘sick man of Europe’ by the Russian Tsar. 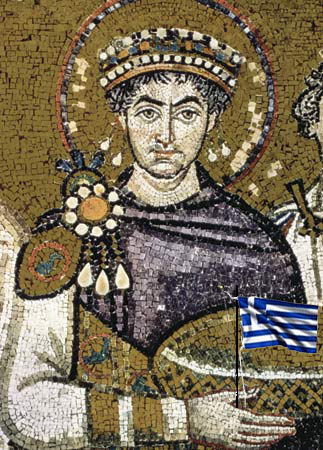 (You know you have problems when you get a derisive nickname from Europe’s most corrupt monarch whose own empire is about to collapse) At the same time there was a growing European appreciation of all things Greek which fueled a new wave of patriotism. Since the ‘re-discovery’ of antiquity during the Renaissance there was a steady stream of pan-Hellenic feeling – best exemplified by Lord Byron who wrote and fought for the Greeks during the war for Independence. If there was any question of Islamic or Ottoman culture supplanting the Hellenic one it had vanished by this point. Did the Byzantines consider themselves Greek? Rob points out that Edward Gibbon referred to the Byzantines as ‘Greeks’ and asks if they saw themselves as Greek. Belonging to Byzantium was never really a matter of blood. It was a ‘commonwealth’, a racially mixed group of what we would today call Slavs, Bulgarians, Serbs, Greeks, Thracians, etc. Greek wasn’t the only language spoken though it was by far the dominant one. But they certainly didn’t see themselves as Greek- at least not as we use the word today. ‘Hellene’ had a pagan connotation- they called themselves Romanoi- which meant ‘Roman’ of course, but in a broader sense ‘civilized’. In other words, someone who had a classical education, dipped their bread in oil, and crossed themselves from right to left. National identities are very much a modern notion. Moving outward, most ancient and medieval people would have considered themselves belonging to a family, then a village or town, and then possibly a region. Beyond that there would probably be a dim view of ‘Christendom’, but certainly not a sense of being ‘a German’ or a ‘Spaniard. A ‘Byzantine’ would have divided the world into two basic parts- those who had civilization (Romans) and those who didn’t (barbarians). It was not necessarily a haughty thing- the Persians were viewed as refined, worthy adversaries. But they were not ‘right-thinking’- in other words they didn’t acknowledge the true emperor (ruler of the civilized world) or the true religion (Orthodoxy). They were therefore ‘barbarians’ no matter how impressive their society was. Did the Byzantines speak bad Greek? 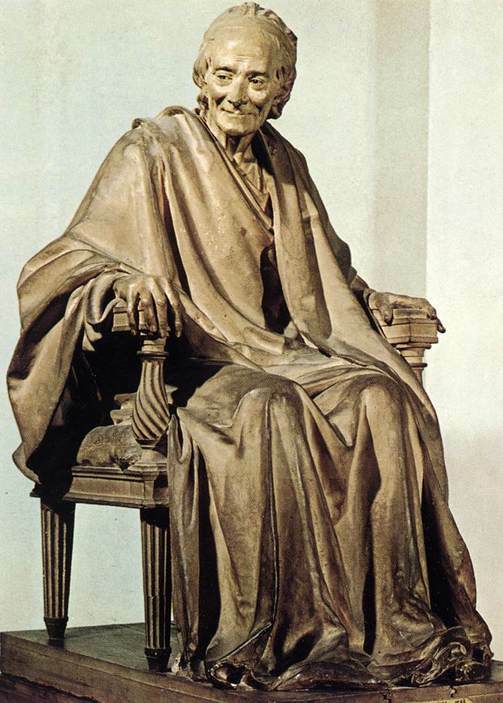 Brian asks why the Enlightenment scholar Voltaire famously quipped that the Byzantines spoke bad Greek. 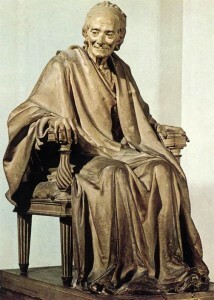 Voltaire was also engaging in a bit of dripping condescension toward the spoken word. Medieval Greek had changed in the thousand years since Polybius was writing and frankly it didn’t measure up to his standards- much the way King James English or Shakespeare sounds more majestic than our own vernacular. Someone should have pointed out how barbaric his version of Latin sounded.